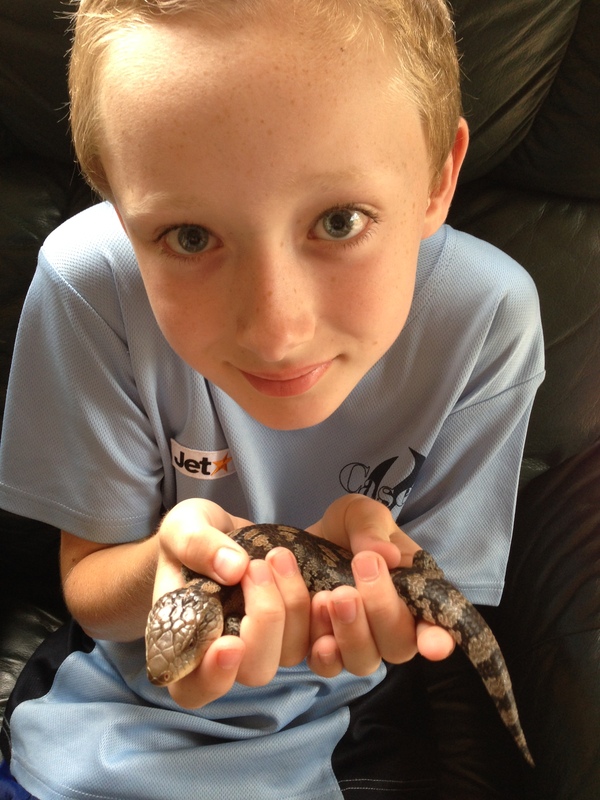 It’s my 10th birthday soon and for my birthday I got a blotched blue-tongue lizard named Bartlett. I’m very excited as it’s my first lizard and I’m looking forward to taking very good care of it. These beautiful members of the skink family can grow to up to 55 cm long. This makes them the largest lizard that can be found in Tasmania. Their unique blue tongue is used to warn potential predators away. They open their mouth wide and stick their tongue out when threatened. Blotched blue-tongue lizards are omnivores. They eat snails, slow moving insects, leaves, fruit and flowers. They are often found in suburban gardens where they are able very helpful in keeping snail numbers down, although they will eat your strawberries if they get the chance. They are one of very few species of lizard that can survive in snowy areas. They can be found in the alpine mountains of NSW and Victoria and become inactive when it gets too cold, hiding under logs. They come out again to breed when it gets warmer in spring. These beautiful lizards are quite common, although they can be difficult to spot as they are very good at hiding. They are found in forests throughout south-eastern Australia. Are there any other interesting facts that you would like to share about blotched blue-tongue lizards?